Nationality: French. Born: Paris, France, 1925. Education: Studied philosophy in Paris and in Germany. Military Service: Member of French Resistance in World War II. Career: Journalist for Le Monde ; author of Shoah: An Oral History of the Holocaust , 1985; director of journal Les Temps Modernes. Awards: Decorated by French government for resistance efforts during World War II; New York Film Critics Circle Award, 1985, Los Angeles Film Critics Award, 1985, and Peabody Award, 1987, for Shoah. Address: Aleph Films, 18 rue Marbeuf, 75008 Paris, France. Editor, The Bird Has No Wings: Letters of Peter Schwiefert , translated by Barbara Lucas, New York, 1976. Shoah: An Oral History of the Holocaust , preface by Simone de Beauvoir, New York, 1985. Shoah: The Complete Text of the Acclaimed Holocaust Film , New York, 1995. "Seminar with Claude Lanzmann: 11 April 1990," in Yale French Studies , vol. 79, January 1991. "The Obscenity of Understanding: An Evening with Claude Lanzmann," in Trauma: Explorations in Memory , edited by Cathy Caruth, Baltimore, Maryland, 1995. Siskel, Gene, review in Chicago Tribune , 27 October 1985. Wiesel, Elie, " Shoah ," in New York Times , 3 November 1985. Ebert, Roger, "Shoah," in Chicago Sun-Times , 24 November 1985. Lewis, Anthony, "'Remember, Remember'; Shoah Means Annihilation," in New York Times , 2 December 1985. Kevin Thomas, review in Los Angeles Times , 27 December 1985. Hollington, Michael, "Naming, Not Representing," in The Age Monthly Review , March 1988. Koch, Gertrud, "The Aesthetic Transformation of the Image of the Unimaginable: Notes on Claude Lanzmann's Shoah ," in October , vol. 48, Spring 1989. Felman, Shoshana, "In an Era of Testimony: Claude Lanzmann's Shoah ," in Yale French Studies , vol. 79, January 1991. Felman, Shoshana, "The Return of the Voice: Claude Lanzmann's Shoah ," in Testimony: Crises of Witnessing in Literature, Psychoanalysis and History , edited by Shoshana Felman and Dori Laub, New York, 1992. Furman, Nelly, "The Languages of Pain in Shoah ," in Holocaust Remembrance: The Shapes of Memory , edited by Geoffrey Hartmann, Cambridge, 1994. Vidal-Naquet, Pierre, "The Holocaust's Challenge to History," in Auschwitz and After: Race, Culture, and "The Jewish Question" in France , edited by Lawrence D. Kritzman, New York, 1995. Elsaesser, Thomas, "Subject Positions, Speaking Positions; From Holocaust, Our Hitler, and Heimat to Shoah and Schindler's List ," in The Persistence of History: Cinema, Television, and the Modern Event , edited by Vivian Sobchack, New York, 1996. LaCapra, Dominick, "Lanzmann's Shoah : 'Here There Is No Why,"' in History after Auschwitz , Ithaca, New York, 1998. 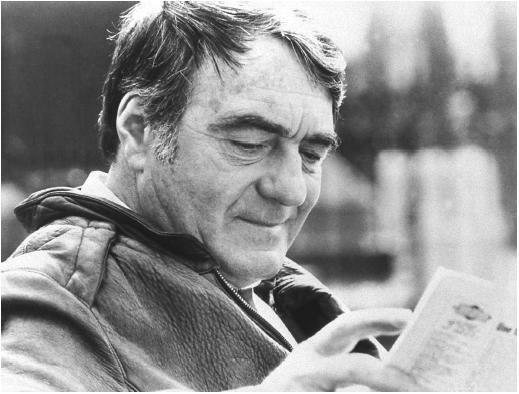 Fisher, Marc, "The Truth That Can Only Hurt: To Claude Lanzmann, The Holocaust Has a Human Face and a Cold Heart," in The Washington Post , 25 June 1999. Lanzmann's 1973 film, Pourquoi Israel ( Why Israel? ), linked Jewish identity in Israel to the recent history of the Holocaust. It premiered three days after the Yom Kippur War broke out in Israel. During the making of this film, Lanzmann met his wife, a German-Jewish writer to whom the film is dedicated. In 1995, he made a film about the Israeli army, Tsahal. A Visitor from the Living (1997) is a 65-minute documentary about Maurice Rossel, the only International Red Cross member who visited the death camps in 1943. In interview footage shot while filming Shoah , Rossel, who visited the death camps of Auschwitz and Treblinka and reported that nothing was wrong, insists that he would write the same report today. He did not look deeply then, and he still refuses to assume any guilt for his position of apathy and blindness. In the place of archival images, the film chronicles the memories of those who lived through the Holocaust and the simultaneous incompatability of the bystanders' and victims' points of view. In 1974, Lanzmann began the research for Shoah , a film that Roger Ebert describes as a 550-minute "howl of pain" about the systematic murder of six million European Jews by the Nazis. Lanzmann accumulated more than 350 hours of testimony. Despite the enormity of the topic and breadth of atrocity, there are only two types of scenes: faces of witnesses, and the tranquil contemporary landscapes under which are buried mass graves. The survivors remember their experience of the camps in heartbreaking detail. Throughout Shoah , Lanzmann takes survivors back to the sites of the death camps and the spectator watches as they relive past traumas. The film opens with a disturbing reenactment. Simon Srebnik, one of only two survivors of the Polish village of Chelmno, follows Lanzmann's command to sing as they float down a river in a boat, just as he was forced to as a thirteen-year-old by Nazis. The peasants only remember him as a young singing lad, completely erasing the circumstances in which he was forced to sing. In perhaps the film's most powerful scene, Abraham Bomba, situated in a barbershop for the interview, is asked minute questions about the details of his routine as the barber of women about to be gassed at Treblinka. Bomba, still today a barber in Tel Aviv, insists that in Treblinka, all feeling was impossible; yet, in the face of Lanzmann's relentless questioning, he breaks down and cries.